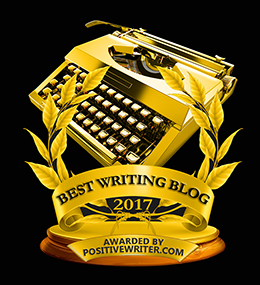 Are Your Writing Limitations Self-Imposed? Have you ever wanted to enter a fiction contest? Learn how to write a screenplay? Write a novel? Do you think you can’t do it? Do you “know” you can’t do it? Do you think you need to know more about the subject first? Do you believe that you have to be an expert in order to write? Whatever it is that holds you back, know this: Your limitations are self-imposed. That means, whatever you tell yourself is what your limits are. But if you start to realize and accept that your limitations are self-imposed, you can then begin to overcome the barriers that keep you from writing (and chasing your dreams). Look at it this way, if your best friend came to you and said, “I’m going to write a novel!” would you encourage her? Would you support her and be the voice of reason for her if she started to doubt herself? Or would you start to impose limitations on her and tell her she needs XYZ before she can write a novel? Would you talk her out of it before she even attempts? Would you tell her that her dream is impossible? Of course you wouldn’t! You’d be supportive and most likely her biggest cheerleader. So why can’t you do that for yourself? You need to start thinking of yourself as your own best friend. And you wouldn’t set limitations on what your best friend can achieve. You wouldn’t talk badly about your best friend. You wouldn’t make your best friend feel like her dreams are worthless. So stop making yourself feel that way! You are a smart, talented writer…and the limitations you supposedly have are only limitations because you say they are. But once you let go of any self-imposed limitations you have put on yourself, something amazing will happen: You will finally see that you can have anything; you can be anything; you can do anything. Become your own best friend–When you become your own best friend, you realize that the way you’ve been treating yourself all these years (placing limitations on yourself; saying you can’t do things; talking yourself out of your dreams) is absurd. If you wouldn’t treat a friend or family member like that, why would you treat yourself like that? Start to consider why you’ve imposed these limitations on yourself–Is it because you’re afraid? Is it because you think people will reject you? Figuring out why you’ve imposed limitations on yourself is the first step to removing them. Change your self-talk–This step is extremely important! If you’re ever going to truly remove the limitations you’ve imposed on yourself, you need to change the way you talk to and think about yourself. I’ve mentioned this before, but one very helpful way to start changing your self-talk is to come up with a writing affirmation. Something simple like, “I am a brilliant writer,” or “My writing is amazing,” will get you started on the path to self-acceptance and self-encouragement. Begin accepting yourself for who you are and who you’re not–So you’ll never be Stephen King or Joyce Carol Oates or Flannery O’Connor…so what?! You get to be you instead, which is the best thing you can possibly be. You are unique and bring a different perspective to the world, so why would you ever want to be anyone but who you are? Sure, self-acceptance takes time. It’s not something you’re going to have overnight. But when you stop telling yourself you can’t do it, and start telling yourself you can do anything, you will finally lift the barriers that hold you back from doing what you love–writing. Pingback: What If You Die Before You Write Your Book?